Cinnergen Liquid Cinnamon Supplement is now available! Posted on May 20, 2012 Categories SupplementsLeave a comment on Cinnergen Liquid Cinnamon Supplement is now available! Looking for a high quality shot of Omega-3 for your diet? Weil Nutritional Supplements Omega-3 Complex Softgels are a convenient choice for getting Omega-3, EPA, and DHA in your diet. More and more people are looking to get essential nutrients like Omega-3, EPA, and DHA into their everyday diets. Many dairy companies have begun to inject Omega-3 into eggs or add it, EPA, and DHA into butter, cheese, and milk as a means of easily offering it in peoples’ diet. Since Omega-3 is directly related to controlling cholestorol and heart health, it makes sense to include it along with dairy products, which often contain higher levels of fatty acids. DHA has also become a popular additive to organic milk and yogurt for children, since it is said to promote brain health. For more information about Weil Nutritional Supplements Omega-3 Complex Softgels, click here! 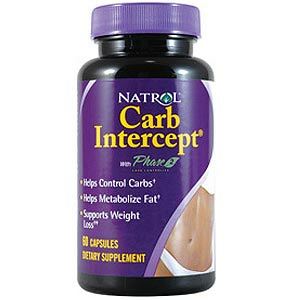 A reliable colon cleanse product can be a great way to start a low carb or low calorie diet. From time to time, our digestive system can start to slow down and we begin to suffer from symptoms such as bloating, trapped or excessive wind, indigestion, constipation and erratic bowel movements. The large intestine becomes over-loaded and the colon (the largest part of the intestine) becomes sluggish and fails to do its job properly. This sluggishness can also lead to other health issues such as loss of energy and skin problems. Taking a herbal cleansing supplement regularly (please see individual products for recommended timescales) can help to keep your colon in good working order, ensuring that it’s free of trapped waste products, excess toxins and unprocessed food. It can also kill any parasites that might be living in the colon that are feeding on the trapped waste. Other benefits of a regular colon cleansing routine include a flattened stomach and weight loss, constipation relief, decreased flatulence, reduced indigestion symptoms and help with regular bowel movement. It has also been shown to help increase overall energy levels and improve skin tone and appearance. Herbal cleansing supplements are made up of only natural products such as cascara sagrada, senna, turkey rhubarb and aloe ferox, they are much gentler on the colon and do not strip your body of essential minerals. Other added ingredients like psyllium husk help to bulk out the stools making them easier to pass (rather than inducing diarrhea). A lot of laxatives available in drug stores contain the active ingredient sodium phosphate which can be particularly dangerous for older people or people with kidney complaints. The sodium phosphate strips away the body’s store of potassium. As a person gets older their kidneys are less able to store potassium as well as younger people’s. Potassium regulates heartbeat so any loss can prove extremely dangerous to the elderly or anyone with heart problems. Drink plenty of water—at least 8 glasses a day as this will help to flush the toxins out of your body and replace any lost minerals. Take plenty of gentle exercise—sweating also helps the body to eliminate toxins. However do not exercise if you’re feeling weak as this will be counter-productive. Have detoxing baths—Epson Salts (magnesium sulphate) or baking powder in the bath can soften the water and help the body to absorb the magnesium. Essential oils such as Tea Tree and Eucalyptus can help the body detoxify. Apple Cider Vinegar helps to restore the skin’s natural PH balance. We at Linda’s Diet Delites have a range of Colon Cleansing supplements for you to try, all made from 100% natural products available in vegetable capsules or powder form. We even have a detox patch which uses the ancient Chinese tradition of reflexology to eliminate toxic waste from your system. CarbRite Diet Carb Block is now available for carb conscious dieters. Be sure to check out all of our safe, effective weight loss aids at Linda’s Diet Delites! Universal Nutrition Fat Burners are now available. They work to reduce appetite, increase metabolism, emulsify fat, improve digestion, lower cholesterol. Looking for safe and effective weight loss aids? We carry a wide selection at Linda’s Diet Delites. Take a look! Health Direct Sculpt n’ Cleanse is now available. This unique cleansing formula contains no thermogenic stimulants.